Arrive in Sri Lanka and you will be welcomed by the representatives of Asian Escapes and transfer to Kithulgala. Check in at your Eco Lodges in Kithulgala. 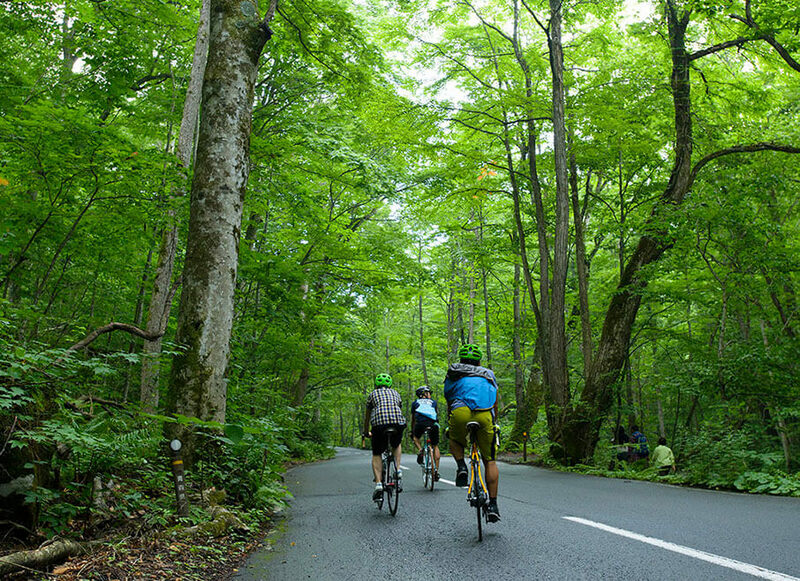 In the evening you will be able to explore the vicinity by getting into a Mountain Bike. Back at your lodges for dinner and overnight stay. Breakfast at the Lodge. 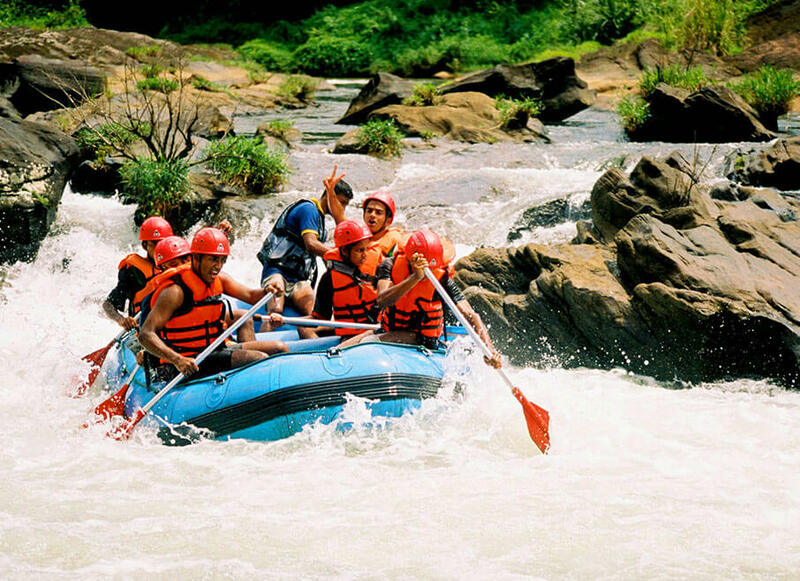 Experience a Thrilling White Water Rafting ride in Kelani River which is the only stretch that White Water Rafting in possible in Sri Lanka. 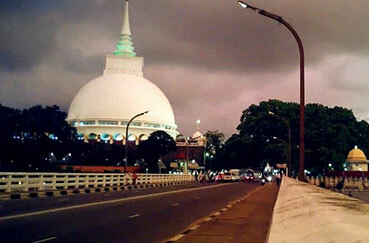 The league will be a 10 km, which is the longest in Sri Lanka. Back at the Lodge. In the evening you will have the option of visiting one of the pre historic caves, Beli Lena cave. Back at the Lodge for dinner and overnight stay. Breakfast at the Lodge. Start the day’s session from Kithulgala to Hanwella through the Kelani River. The stretch will be 8 hours long and on flat water. We will skip 2 km of the stretch depending on the water levels. During the day’s ride you will be able to experience local village life and the unique method of Gem Mining in the river. Sometimes you may encounter local miners dive for gems in the bottom of the river. 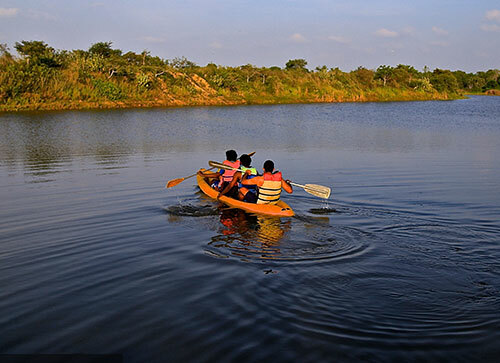 At the end of the day’s ride, you will reach your campsite in Hanwella where you spend couple of nights. Dinner and overnight stay at your campsite in Hanwella. Breakfast at the Campsite. 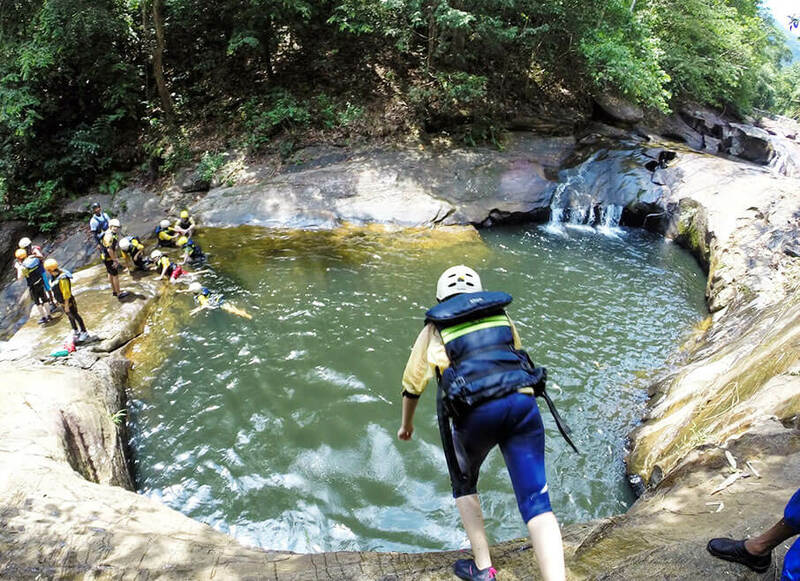 Experience a full day filled with fun and adventure. Early in the morning we will leave for a mountain biking tour around the village to experience their beginning of the day. Experience their lifestyle and back to the campsite. 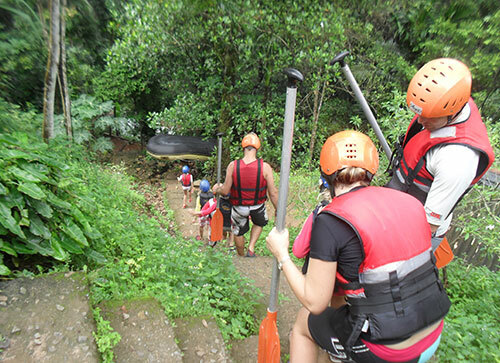 Later we will go for some thrilling abseiling experience coupled with a zip line ride through the Kelani River. Dinner and overnight stay at your campsite. Breakfast at the Campsite. You will be transferred to Rathnapura. We will reach the river banks of Kalu Ganga near Maha Saman Devalaya, a shrine of God Saman. We will start paddling along Kalu Ganga; the river Becomes Black. There is only one rapid at Ellagawa – 4 ft. drop – one stop near the bridge where you will have to use your paddling skills to deal with the rapids. Lunch will be supplied to the boat & enjoy the lunch in the river bank. After having a short break, fine to start 2nd leg of the canoe trip. This session is narrow with rocks, certain sections very deep and dark water. Early evening, we will end the day’s ride in a Rubber Plantation near Ingiriya. Check in at your campsite in the bank of Kalu Ganga for dinner and overnight stay. Breakfast at the Campsite. We will start the next stretch of the day upto Anguruwatota. 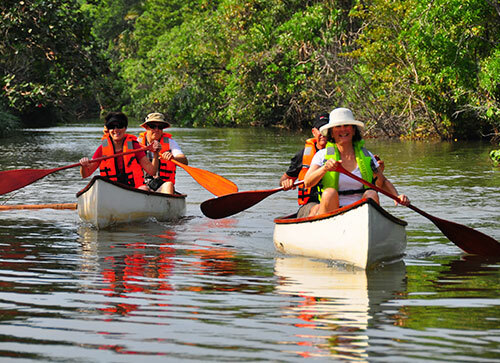 You will pass the big rapids and continue up to Nanagala Ella; which you will have to use the best of your paddling skills. The 2nd & 3rd corridors are smooth and you can be relaxed while you are on the ride. A picnic lunch will be served enroute. We will further paddle downwards the river and finish the day’s spell at Anguruwatota where we will stay overnight at a Campsite in the banks of the River. We will start the last session of paddling in this 8 days tour after having breakfast at the Campsite in Anguruwatota. This stretch is soft and calm, but when you reach Kalutara you will have to struggle with the winds and the sea currents which flow inwards through the river. We will reach Kalutara by noon and proceed in Kalutara Bodi Temple & pay honest of ending successful rafting trip. Transfer to your hotel in Kalutara where you will be able to spend the rest of the day on the beach. Dinner and overnight stay at your hotel in Kalutara. We Breakfast at the hotel. You will be transferred to Bandaranaike International Airport to connect with your departure flight depending on your flight schedule.